Community Environment Day is a safe way to dispose of household hazardous waste and the other items listed below. You can also pick up free compost. Ward 19’s Environment Day also features many local organizations and associations that come out to let you know what they are working on and how you can get involved. Join Mike Layton and enjoy a free Community BBQ hosted by the Friends of Roxton Road Parks. Non-perishable foods will be donated to a food bank. Please do not bring: Construction waste, gasoline, garbage, wood, cassette and videotapes, commercial/industrial hazardous waste, and scrap metal. Enjoy an evening of live music, all in support of music education in Tanzania. 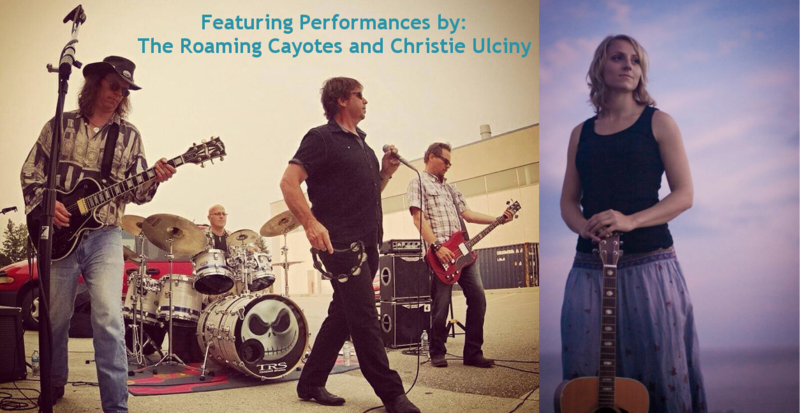 Giselle Janette will grace the stage with her beautiful singer/songwriter vibe, followed by the pop-rock song stylings of Christie Ulicny and the rock and roll of The Roaming Coyotes. There will be a silent auction packed full of great items, from performance tickets to instruments, and a 50-50 draw to support our amazing cause. Bridging Worlds Through Music is part of the Canada Africa Partnership Network and offers free music education, teacher training and youth mentorship in Geita. For more information, please visit bwtmusic.com. Environment Day Saturday April 30: This year, Ward 19’s Community Environment Day takes place on Saturday, April 30 at Fred Hamilton Park between the hours of 10:00a.m. and 2:00p.m. For a list of what you can drop off or pick up please visit the City’s website here. Mike Layton’s office will be holding 8 local Compost Days to help all of the gardeners in the ward prepare for the growing season. This compost comes from your leaf and yard waste that the City collects as part of the waste reduction and recycling program. Mike Layton will provide compost, rubber gloves, and garbage bags for anyone who would like to help me collect garbage left over from the winter thaw that has collected on the ground. Saturday, April 23 – 11:00 a.m.
Sunday, April 24 – 10:00 a.m.
Sunday, May 8 – 10:00 a.m.
Sunday, May 8 – 12:00 p.m.
Sunday, May 15 – 8:00 a.m.
Saturday, May 21 – 10:00 a.m.
Saturday, May 21 – 12:00 p.m.
Sunday, May 22 – 10:00 a.m.
Have questions about our Compost Days? Contact Marco Bianchi in Mike Layton’s office at mbianch@toronto.ca or call 416-392-4009. For more information, visit www.toronto.ca/compost. In conjunction with the city-wide Community Clean-Up Days, come and take part in helping keep the city clean and green! The Trinity Bellwoods B.I.A. is organizing a clean-up at the Dundas-Manning parkette. We are calling all local residents, business owners, and park enthusiasts to help us refresh and re-energize this community garden. Join us for 30 minutes, 1 hour, or the whole morning for fun in the fresh air while we clean up and re-plant the Dundas-Manning community garden. Queen West-Central Toronto Community Health Centre is planning to add small-scale supervised injection services to their existing clinical health and harm reduction services for people who inject drugs. Implementation of supervised injection services are part of the range of strategies to reduce harm. Supervised injection services provide a safer and hygienic environment for people to inject pre-obtained drugs under the supervision of a nurse. A series of local open house or public meetings are being planned for community members to receive information about supervised injection services and share input about any issues or concerns. To complete a survey and provide your feedback about these events, please visit: www.toronto-sis.ca. For additional information about supervised injection services in Toronto, please see the City of Toronto’s Frequently Asked Questions.